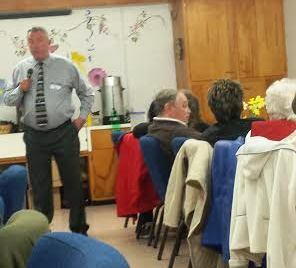 Supervisor Tony Bush addressed a large group of seniors at their monthly meeting on April 27. 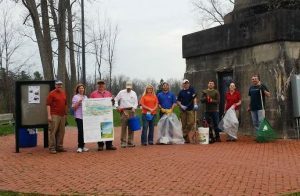 Supervisor Bush talked about the many improvements going on with the Town of Hastings parks. He also talked about the progress at the CNY Raceway. Bush answered many questions and concerns the seniors had. Happy Days Senior Luncheons are held at the Brewerton United Methodist Church and jointly sponsored with Divine Mercy Parish.